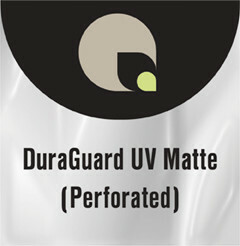 DuraGuard UV Matte Perforated is pre-perforated for use in heat vacuum presses. It is a PVC (vinyl) laminating film with a semi-matte finish and excellent UV protection. It is ideal for laminating canvas mounted photographs.